Climate and wearing apparel: Portugal enjoys Mediterranean climate with distinct winter, spring, summer and fall seasons. In spring (from March 21 to June 21), temperatures range from the high 40’s to mid-60’s during the day. We suggest medium to heavyweight apparel, with gloves and hats for early morning and evening. In summer (from June 22 to September 22), temperatures range from the high 60’s to high 80’s during the day. We suggest lightweight apparel, with light jackets for early mornings and evenings. In fall (from September 23 to December 22), temperatures range from the low 60’s to low 70’s during the day. We suggest medium-weight apparel, with a jacket for early morning and evening. In winter (from December 22 to March 20), temperatures range from the high 30’s to mid-50’s during the day. We suggest medium to heavyweight apparel, with gloves and hats for early morning and evening. In all seasons, it would be wise to pack a travel umbrella for an occasional shower that may occur. Cuisine: Portuguese cuisine is famous for seafood. The influence of Portugal’s former colonial possessions is also notable, especially in the wide variety of spices used. These spices include piri piri (small, fiery chili peppers) and black pepper, as well as cinnamon, vanilla and saffron. Olive oil is one of the bases of Portuguese cuisine, which is used both for cooking and flavoring meals. Garlic is widely used, as are herbs, such as bay leaf and parsley. There are three main courses with lunch and dinner usually including a soup. A common Portuguese soup is caldo verde, which is made with potato, shredded kale, and chunks of chouriço (a spicy Portuguese sausage). Among fish recipes, salted cod (bacalhau) dishes are pervasive. A small espresso coffee (sometimes called a bica after the spout of the coffee machine) is a very popular beverage had during breakfast, which is enjoyed at home or at the many cafés that feature in towns and cities throughout Portugal. Your average full meal runs from $30 to $50, per person, depending on the choice of menu and wine. Hotels: You will find the name/address/phone of your hotels, following your tour itinerary, in your final documents. Hotel rooms are available for check-in after 2:00 pm. Check out time is usually at 12:00 pm. Insurance: Portugal has a socialized medicine system. Anyone requiring emergency treatment or hospitalization will be accepted in public hospitals. We suggest checking personal insurance coverage while traveling abroad. Language: The national language is Portuguese, even though English is commonly spoken in hotels, some restaurants and stores. Useful words to know are “por favor” (please) and “obrigado” (thank you). Passport and Visa: All U.S. citizens are required to have a valid passport, with an expiration date of no less than six months from the date of return. 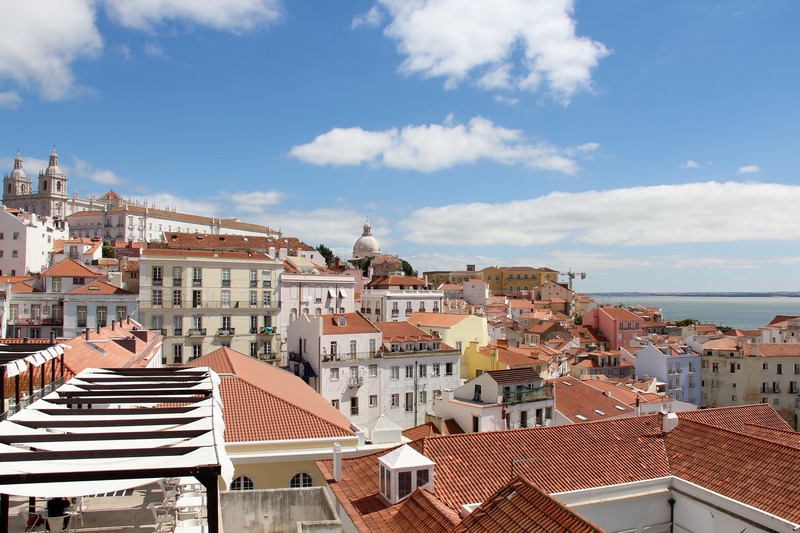 A visa is not required to enter Portugal for U.S. citizens. Non-U.S. citizens must check requirements with their respective consulate. Phones: It is possible to make calls from all of your hotels with a service charge. Remember when you call the States to dial 001 followed by the area code and phone number you are trying to reach. You can also utilize your calling card. Check with your calling card company to obtain toll-free numbers to call from Portugal and further instructions. Shopping: Though most large towns in Portugal have at least one out-of-town shopping center, in the majority of places people still do much of their purchasing in traditional shops and markets. Old town centers look like they haven’t changed much for thirty years or more, with a butcher, a baker and a candlestick maker on every corner, not to mention a florist, a grocer and a hardware store. Specialist craft and souvenir shops might be able to arrange shipping home for you. Time difference: Portugal is 5, 6, 7 and 8 hours ahead of Eastern, Central, Mountain and Pacific Time, respectively.